Hope everyone had a happy Fourth! San Diego has great Firework Show(s), yes multiple shows, every year and this years was no exception. 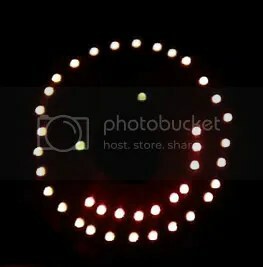 The new aerial firework this year was a Smiley Face… How the heck to you make a Smiley Face!…. weird. Its been REAL HOT in the 100’s, Dry Heat no less, so hot Janet doesn’t go outside even to water her plants, which have begun to shrivel-up. Yesterday, the 4th, I watered the heck out of the plants and I could hear Janet in the house say “oh that feels so good”. She had a window fan running and was sitting sideways to it on the living room couch and as I watered the plants the fan would pick up the mist and blow it in the house and on to her. My back is finely better, I caught myself lifting 16 foot 2″x6″ pressure treated wood for a deck I’m building for a friend without my brace on. Yes I stopped and put it on. I’m still stiff in the morning and need to move around awhile before I can do much but I’m about 90% back to my normal self, if there is anything normal about me. So I’m tiring to figure out what to do, if I get laid-off the financial burden is going to be huge, I won’t be able to afford the house and we depleted what little savings we had to pay the mortgage last time I got laid off. Option 3: Ask if I can be deployed to IRAQ with the OSEC team, who are embedded with the Marine Corps…. 3 option is, most likely the only “REAL” option at this point. On a lighter note; Janet is looking forward to her trip this weekend to S.F. for the baby shower and seeing everyone there. I think the break from me and the kids is going to be good for her. As much as I keep my feelings of stress, this job thing, from her I know she’s feeling it as well because she’s the one who pays the bills. Well back to work at my 30 Hour week job..